I have to confess that I’m about 2 weeks overdue in posting the review of the Nomad Battery Cable. The problem was that this cable went straight into my EDC bag and I haven’t stopped using it long enough to photograph it. The Battery Cable is a great concept: a Lightning cable for charging your Apple products with a built in “battery barrel” (as I call it) that maintains a charge and acts as a backup/emergency battery for your gear as well. It’s built on a rugged ballistic nylon, moisture-proof cable that’s reinforced throughout and on both ends of the cable. I suspect this will last 10 times longer than my EDC charging cables usually last. Cable length is 10″ from the wall to the battery pack, then another 44″ of cabling thereafter. 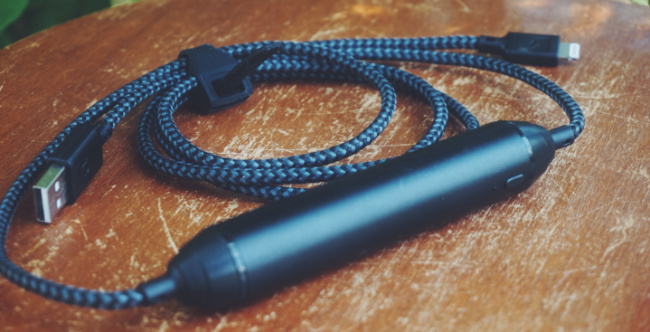 Nomad includes a built-in silicone cable keeper to prevent tangles while it jostles around in your bag. 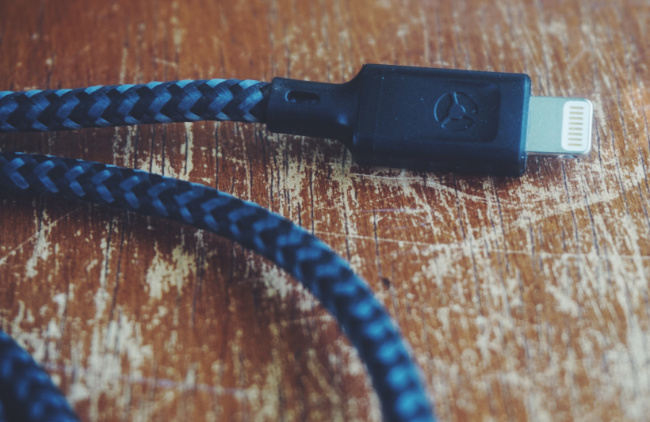 At $50, this is a cable that will provide you with the value of saved space in your everyday bag, as portable battery packs become unnecessary. I normally keep my AirPods plugged into the cable while it’s in my bag, which keeps them topped-off and I can forget about charging them. This cable is a well-built, useful cable that gives you the bonus of portable charging outside of electrical outlets, too. As they always do, Nomad has scored a home run with a truly premium, useful product in the Battery Cable. 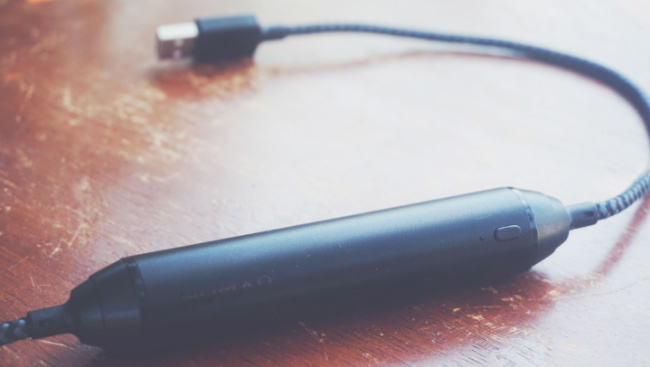 This entry was posted by admin in electronics, reviews and tagged battery cable for iphone, nomad battery charger, nomad lightning cable on August 6, 2018 .